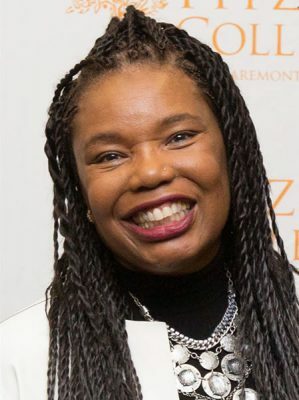 Claremont, Calif. (March 28, 2017) — Pitzer College names Gael Sylvia Pullen ’78 as its 2017 Distinguished Alumni Award recipient and Tricia Morgan ’08 as the Young Alumni Achievement awardee. The awards will be presented at the Alumni Celebration Dinner hosted by President Melvin L. Oliver on Saturday, April 29, from 6:30 to 8:30 p.m. during this year’s Alumni Weekend. Gael Sylvia Pullen ’78 is an entrepreneur, author, speaker and philanthropist. She is the founder of Sylvia Global Media, a global broadcasting digital platform and also the founder of Girls Fly!, which was acknowledged by former First Lady Michelle Obama this past December as part of the Presidential Proclamation for International Day of the Girl. Girls Fly! is an initiative designed to partner with local and international communities to empower girls and women through variety of motivational “iFly experiences.” These experiences are customized activities in the arts, athletics, aviation and equestrian-related fields. Each interactive experience is focused on engagement and mentorship from women leaders and supporters who share a commitment to helping women and girls achieve their dreams. Pullen, who graduated from Pitzer College with a degree in sociology, is the former owner of Ghail Media Group, the largest Spanish-language radio programming in northeastern Ohio, and Charis Real Estate, the largest revenue-generated minority-owned commercial real estate brokerage firm in Southern California in the mid-80s. Pullen recently retired as an award-winning McDonald’s franchisee. Through their McDonald’s franchises, she and her husband, along with Key Bank, started the homeownership and credit management programs that were implemented throughout the urban areas of Westside Cleveland. Pullen and her husband also launched the McDonald’s Feeds Hungry Minds and Hungry Bodies community service program in Cleveland, OH. Pullen created home libraries from more than 80,000 new books donated throughout Black History Month. Creating partnerships has been the hallmark of her belief, including international relationship building across the US-Mexico border regions from California to Texas during the height of the border crisis in the mid-2000s. Established in 2004, Pitzer College’s Distinguished Alumni Award is the highest honor the College bestows upon a graduate. It recognizes alumni whose achievements reflect Pitzer’s core values. A committee made up of alumni, faculty, the Alumni Board president and a previous year’s honoree selects the recipient. 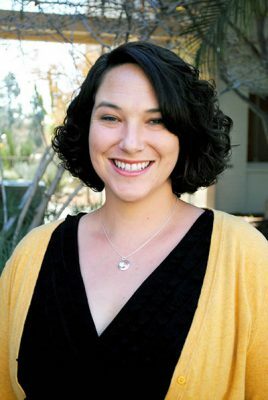 Tricia Morgan ’08 is the associate director of the Pitzer College Community Engagement Center (CEC) and the Pitzer in Ontario program. Morgan first joined Pitzer as a New Resources Student in spring 2006. After graduating with a degree in sociology she joined the CEC staff. Morgan has played a key role in successfully attaining a place for Pitzer College on the Presidential Higher Education Community Service Honor Roll, obtaining the coveted Carnegie Community Engagement Classification and guiding multiple winning student letters in the Debating for Democracy annual competition through Project Pericles. Her real joy consists of working and learning collaboratively with students through social justice projects happening both on and off campus. Morgan is currently enrolled in the doctoral program at Claremont Graduate University’s School of Educational Studies with a concentration on higher education. Her research interests include access and equity in higher education, social justice leadership, student success and mindful community engagement. The Alumni Association introduced the Young Alumni Achievement Award in 2013 to recognize alumni who graduated in the past decade and have established careers that exemplify a Pitzer education in action. This year, current Pitzer College students selected the Young Alumni Achievement honoree.